Tantalus has long been a favorite place of mine. Considering its proximity to Honolulu you might think that it gets swamped with tourists and families going for a picnic but I have rarely encountered more than a half dozen people there at any time. There are actually two different spots on Tantalus I recommend checking out. The first is the actual Tantalus lookout in the Puu Ualakaa State Wayside Park, which typically closes right after sunset. You get a wonderful panoramic view of Diamond Head, Honolulu, the airport and beyond. There is a well maintained lawn at the lookout point that is perfect for an afternoon picnic. The second spot is perfect for checking out Honolulu’s night skyline. To get to this spot head up Makiki St. and stay to the right when the road forks. Turn right on Round Top Drive and follow the road up like you were going to Puu Ualakaa Park. Before you reach the final hairpin turn that precedes the entrance to the park there’s a spot on the right-hand side where you can park your car. This is a good spot but lots of Japanese tour buses come here at night and it can get pretty crowded. Park your car there and walk down the road a little till you reach a demolished house with a chainlink fence blocking the driveway. It’s far less crowded here and you’re afforded a wider view of Honolulu and beyond. Another beautiful Hawaii sunset taken last week at Ala Moana Beach Park. With the advent of the fall season and high clouds rolling in, sunset photographers have been getting some spectacularly wonderful pictures. Check this link out for more Hawaii sunsets by various photographers. We had a beautiful sunset on this one of the more cloudy days of the week as we transition away from summer and into fall. I shot about 200 photos at Ala Moana Beach Park this afternoon and this is one of them. It’s wonderful to live in Hawaii where the access to the sky and sea is readily available. 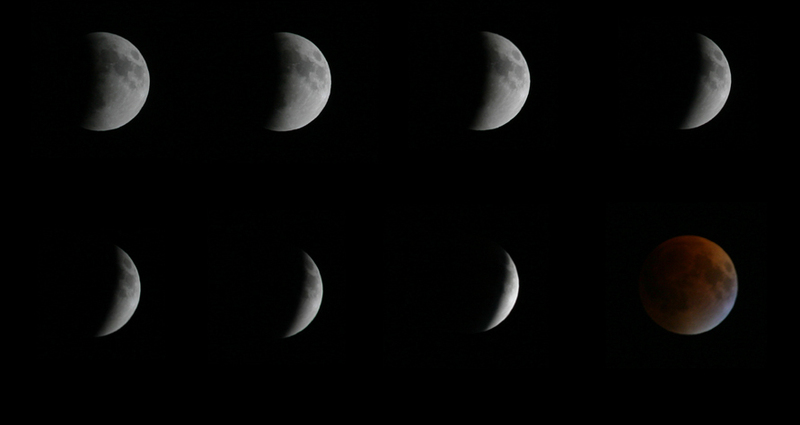 Conditions were nearly perfect last night in Honolulu for viewing and capturing these images of this total lunar eclipse. The rare celestial event was the first total lunar eclipse visible from Hawaii in 4 years. As usual this eclipse was spectacular as they always are. And what made me happy was that I got some decent (though not perfect) photos of the phenomena. Larger version of this photo. Which city has the best weather in the world? Duh? HONOLULU and the entire state of Hawaii is well known for mostly sunny skies, gleaming temperatures in the high 70s, and 80s along most coastlines of all islands. The weather is so pleasant in Hawaii that we don’t pay much attention to it unless it starts raining a lot or one of those rare storms decides to blow into the islands. The following are examples of our blissful weather conditions. Come and visit our piece of paradise…. Aloha! Plumeria flower kiss the sky at Kapiolani Park in Waikiki. Cityscape with clear, blue skies! It was a beautiful afternoon in Hawaii Nei after a few days of cloudy skies and some rain. Caught this sunset shot at one of my favorite places for sunset shots, Kakaako Waterfront Park. This is taken from one of the artificially built hills overlooking the palm trees, a pavilion and the Pacific Ocean. The park is built over the site of a former landfill near Honolulu Harbor. Aloha Honolulu, I am a metro blogger from Pittsburgh, PA and I am here visiting a good friend from Pittsburgh who now lives in Honolulu. I am actually writing this post from the Starbucks in Pearl City. This is my first visit to Hawaii and it is so great that I can blog while traveling. I also write a blog about Pittsburgh – www.IheartPGH.com. I hope you will read and comment and maybe help us to find some more cool things to see while we are here visiting. The new year dawned on Hawaii today. Unlike last year, the first day was a very nice one and yielded this most spectacular of sunrise shots that I captured today from Diamond Head lookout. Here’s wishing all of you the best of luck in 2007. Let’s hope we can all survive the new year and live to tell about it in 2008. What can I say about the Hula? The Hula is known around the world as the official dance style from Hawaii. In recent years Hula has seen an explosion of popularity to the point where hula competitions are held in Hawaii and all over the world. Hula Halau come to Hawaii to compete in the annual Merrie Monarch Hula Festival that is held in Hilo during the months of March or April. It is the biggest and most well known hula event in the world. There are two type of hula, namely the hula kahiko which has its roots in ancient Hawaii and the modern hula ‘auana which you will see at many tourist attractions and parties. Both are practiced vigorously by the many hula halau (groups) the world over as both are represented in the Merrie Monarch festival. Probably the most fun aspect of hula is the non-competitive spontaneous hulas that you may be lucky to see at local parties and festive luaus. Find a group of Hawaii people having a party and it is very likely someone will do a hula. Photos by macpro taken May 2004. Posted in Beautiful Hawaii, Culture, Music | Comments Off on Hawaii Gift #3: Hula! Welcome (back) to Hawaii Metroblogs! Julia Frey Hooray for Hawaii! I keep trying to convince my mom to write for you. I’ll keep trying. Have fun! lucindamichele Awesome! cool to see you in action. kapusticks This is a great idea and I would love to be a part of it.